Transforming urban youth to impact their communities for Christ. To build Christian leaders by encouraging, equipping, and empowering urban youth and their mentors through camping and education. 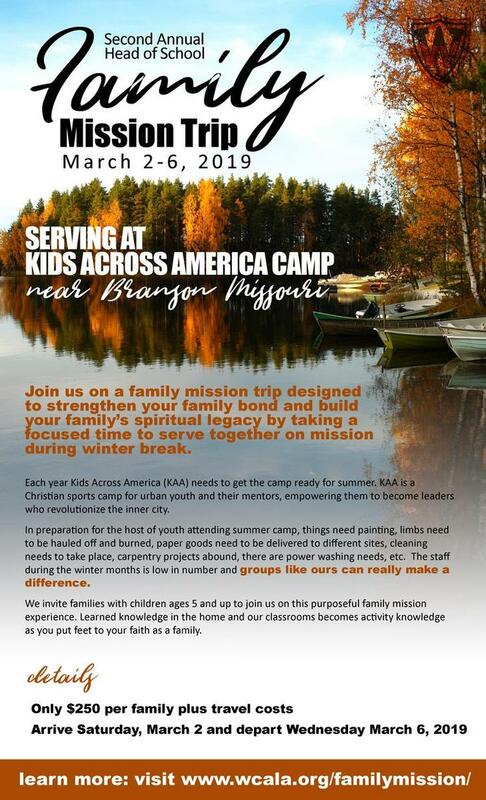 Who Can Attend The Family Mission Trip? We need at least 6 families from WCA but no more than 12 families. The minimum age for children is 5. Remember, we are on mission to work and help out the camp and not vacation. Each family will be responsible to care for themselves. This is an opportunity for families to serve together with everyone in the family participating. Each family will need at least one parent to attend. What Are Some of the Travel Details? Arrive Saturday, March 2 anytime after 3:00 p.m. Dinner is on your own on the road, but arrival snacks will be provided. Work starts Sunday morning and ends Tuesday afternoon. Depart- Wednesday morning (light breakfast served). If there’s enough interest we can plan a fun excursion to Branson or surrounding area. What is the Cost of the Family Mission Trip? The cost is $250 per family. This covers all of your meals, snacks, and drinks. We have a large group so meals will not be able to accommodate special dietary needs. You are more than welcome to bring your own food. You are responsible for your own transportation to and from KAA. Also, if we have extra money we will use this as a scholarship to sponsor Acadiana students going to camp next summer. Make checks out to WCA. 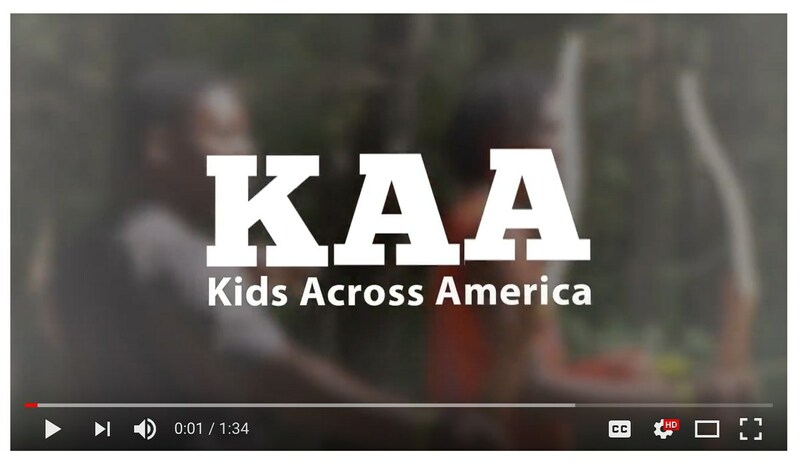 Write KAA Missions Trip in the memo. Indication of participation is needed by January 15, 2018. All paperwork and money needs to be turned in by January 31, 2019. Feel free to contact Michelle Davis at mdavis@wcala.org for more information about this trip.